There’s a little old saying that goes, “Life begins at the end of your comfort zone.” As a writer who runs a blog called Get Gutsy, these are words I aim to live by. What better place to step out of your comfort zone than in Montgomery County, PA? With tons of outdoor activities, a mountain with year-round adventure, indoor skydiving and more, the county is teeming with opportunities for an adrenaline-rush. 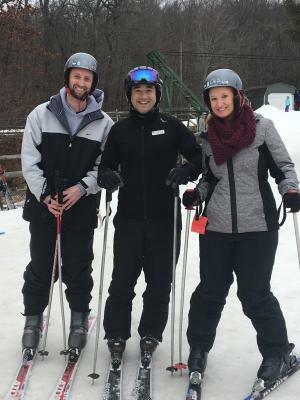 When the Valley Forge Tourism & Convention Board invited me for a winter weekend adventure in my own backyard, my answer was an enthusiastic yes. Want to get gutsy yourself? 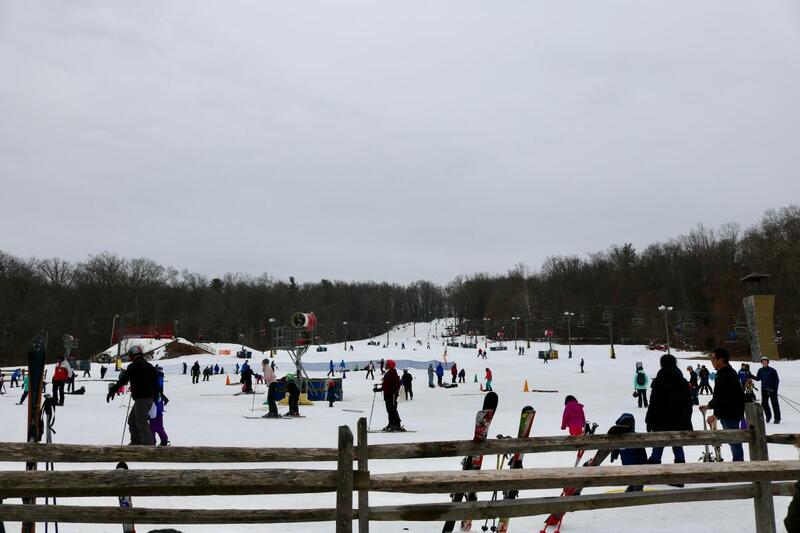 Here are three thrilling ways to step out of your comfort zone in Montco, along with recommendations for other ways to fill the weekend. Check skydiving off the bucket list! 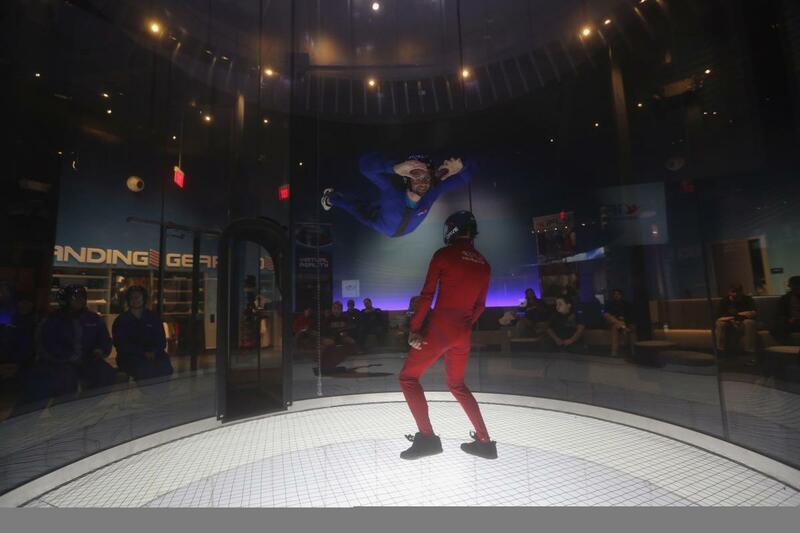 Well, indoor skydiving at iFly King of Prussia, that is. Here’s the honest truth: I was extremely nervous to go indoor skydiving! Despite my love of thrills, I’m also kind of a baby, and I had nervous butterflies in my stomach all morning. Luckily, our fly session began bright and early at 8 a.m. so I didn’t have too much time to worry. My boyfriend Tim and I arrived at iFly, met our group of fellow fliers, along with our experienced instructor David and watched a quick video on flying basics. After the video, we suited up, strapped on helmets and prepared to soar. 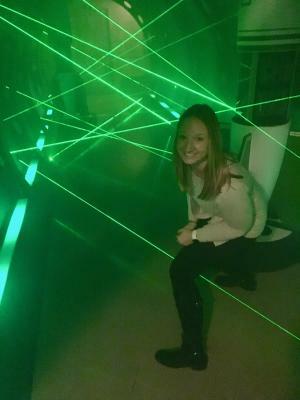 I was second in line to fly, and when it was my turn I anxiously made my toward the wind tunnel. Instructor David helped me into the tunnel, and before I knew it, I was flying! I followed David’s hand signals (you can’t speak or hear with all of the wind blowing) to bend my legs, straighten my legs and of course, relax, and for the next minute, I experienced true freefall conditions. Luckily, at iFly, you get to fly twice, so after my turn, I got back in line to await my second chance to fly. The second time I felt a bit more confident, and allowed myself to relax and take in the experience fully. Confession: I haven’t been skiing since I was 16 years old. And on that last ski trip, I ended up in tears at the top of the mountain. Luckily, this ski session at Spring Mountain Adventures in Schwenksville was much different. Spring Mountain is what&apos;s known as a "feeder" mountain, meaning it&apos;s a smaller mountain, often within a close drive to a city center, making it perfect for relative newbies like me. The kind folks at Spring Mountain arranged for a private ski lesson for me and Tim, so we arrived 45-minutes early to gear up. After we had our ski boots, helmets, skis and poles, we met with our instructor Michael. After just one-hour with Michael, we felt like pros! We started at the bottom of the mountain with the basics -- how to get your skis on and off (very crucial! ), the proper way to ski, how to turn and most important, how to brake. After a few drills, Michael deemed us ready to hit the lift. He joined us for our first run, guiding us every step of the way. I was truly amazed that after a one-hour lesson, we both felt completely confident to continue the afternoon skiing on our own. We’ll definitely be back! Think you’re smart, savvy and resourceful? Then grab a group of friends and immediately head to 5 Wits Plymouth Meeting. It’s like an escape room, but amplified. Described as "a live-action, immersive adventure experience within a realistic, hands-on setting" when you choose a 5 Wits adventure, you are thrust into the scene to figure out puzzles and challenges to progress through multiple rooms. Think: literally climbing through a crawlspace to get into the room and then climbing over and under laser beams to get to the next challenge. Me and Tim weren’t super successful in our mission -- we were a little tired from our morning of skydiving, but next time, we’ll definitely bring a crew to assist. Pro tip: You&apos;ll get the most bang for your buck if you purchase the 3-adventure combo for $29.99 + tax. You don&apos;t have to do all three adventures in one day -- you&apos;ll receive a token to come back later! Of course, you can’t get gutsy all the time. You do need to let your heart rate come down at some point and do other things, like eat and drink. Need other ways to fill the weekend? I’ve got some ideas. After flying, head down the street to the world-famous King of Prussia Mall to browse more than 400 stores. 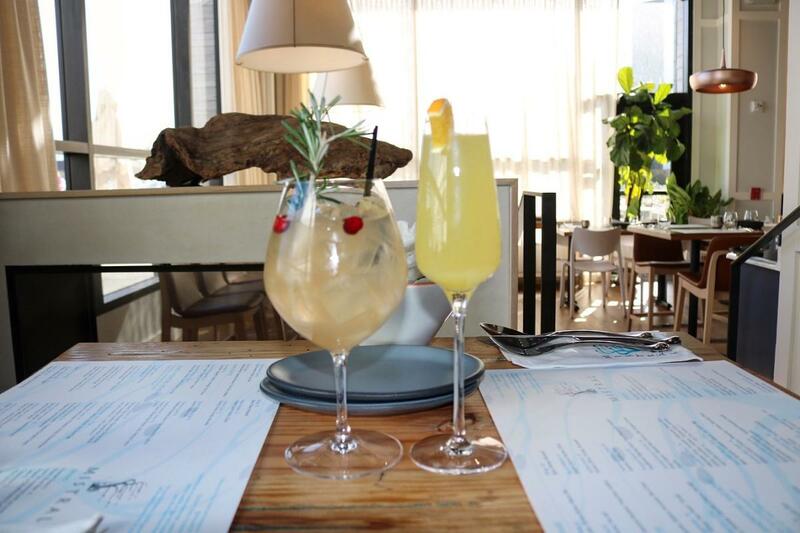 While you’re there, pop in to Mistral KOP for a fantastic meal in a colorful, bright and airy space. I highly recommend the bacon beignets and white sangria. 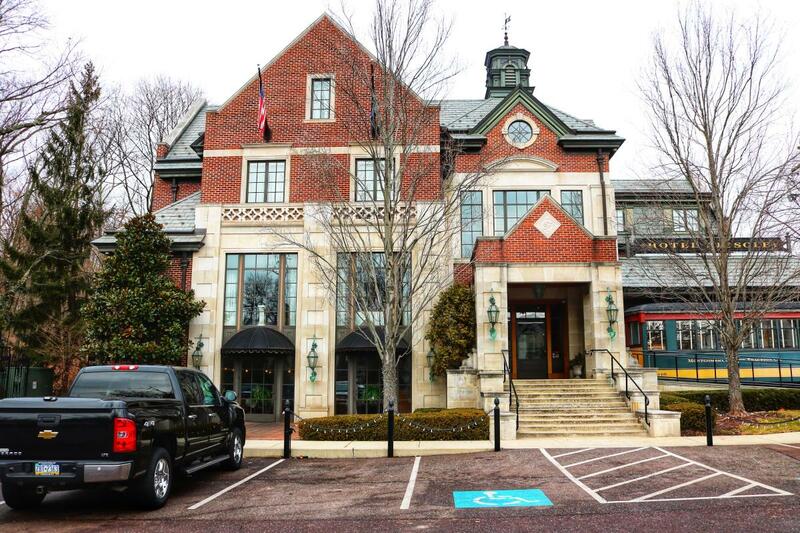 Make it a weekend, and stay the night at the delightful Hotel Fiesole in Skippack. With on-site restaurants, a bar and a lounge with live entertainment on weekends, you won’t even have to leave the property to enjoy the evening. 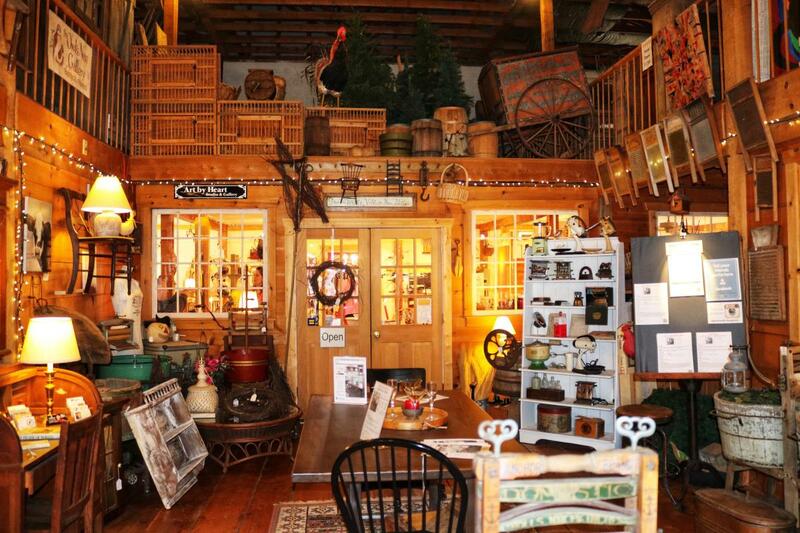 Be sure to save time to wander the unique town of Skippack. There are lots of mom and pop shops to explore -- don’t miss Green Wolf’s Village Barn Shoppes, perfect for art enthusiasts. Planning on skiing or snowboarding? Fill your hungry belly down the road from the mountain at The Woodside Lodge (owned by the same family that runs Spring Mountain Adventures) before the day begins. 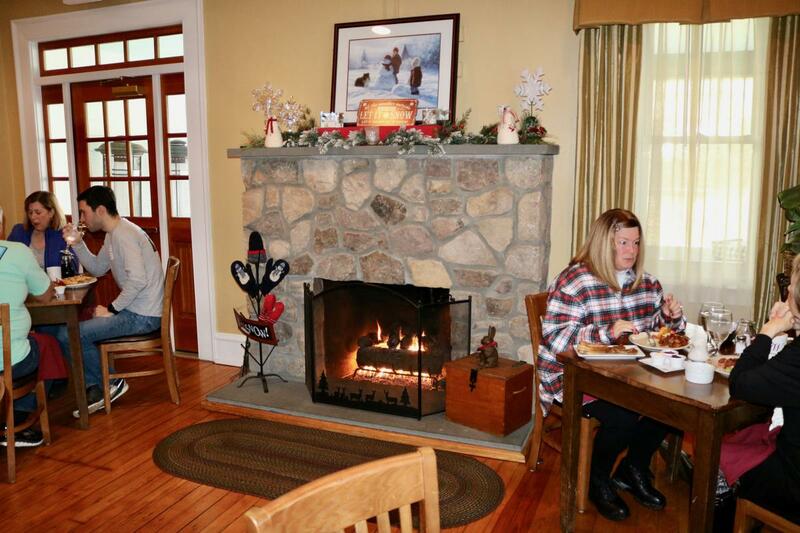 Or, head here apres-ski for dinner by the fire! Planning your own winter escape? The Valley Forge Tourism & Convention Board’s Winter Hotel Package does the planning for you, with incredible deals on the best restaurants, entertainment, attractions, breweries, wineries and distilleries. Plus, you&apos;ll get where you need to go easy with 50% off from Lyft. Check out the details. To read more about my weekend in Valley Forge, head over to my blog for a complete 36-hour adventure itinerary. Jessica Lawlor is the president and CEO of Jessica Lawlor & Company (JL&Co), a specialty communications agency focused on content management and creation, public relations and digital marketing. Jessica's an accomplished writer, speaker and personal branding expert in the Philadelphia area. She blogs at JessicaLawlor.com about getting gutsy -- stepping outside your comfort zone to reach your goals and live a life that makes you truly happy.